This course is focusing on infection control and prevention. It will give the students confidants in their knowledge in clinical practice. This Course is mainly designed for healthcare professionals such as Nurses, Medical Assistants, Healthcare Students, Pharmacy Technicians or any Practitioner who wishes to improve their clinical skills. Bloodborne pathogens is an advanced, instructor-led classroom course that highlights how to reduce or eliminate the occupational risk of bloodborne pathogens. Wilderness First Aid is a 6- to 8-hour course for those who are involved in serious wilderness activities. This course is the choice of many wilderness trip leaders and guides. The ECG & Pharmacology Course has been updated to reflect the 2015 ASHI Guidelines for CPR and ECC. This classroom-based, Facilitator-led course is designed to improve electrocardiogram (ECG) recognition skills and pharmacology knowledge for treating cardiovascular emergencies. ASHI CPR & AED is designed specifically for laypeople and is an excellent choice for both the community and workplace setting. This extremely flexible program will help prepare people to respond to a Cardiac Arrest and Choking. 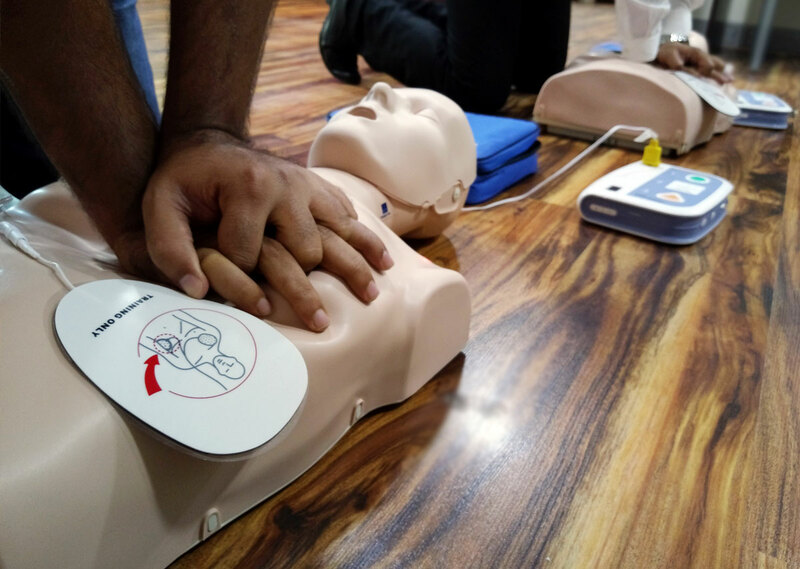 Our Basic First Aid with CPR & AED course is a complete training program for emergency care , which includes Basic First Aid, CPR and how to use an automated external defibrillator (AED). This Course designed for the person who needs or desires more first aid training than Advanced First Aid, Perfect for Hospital Emergency Response teams. It’s 48 hours (4 Day) course designed to provide non-EMS Responders with a level of training comparable to a professional Emergency Medical Responder.